Do renewable technologies affect property values? Despite recent technological advances, many micro generation systems do still represent a significant investment for households. Schemes such as the Feed-In Tariff, Renewable Heat Premium Payments and Renewable Heat Incentive have succeeded in making these technologies more attractive by providing grants or paying households for each unit of energy generated. This shortens the payback time of the system to between 5 and 10 years, which is ideal if you intend to live in your house for that period. But what if you want to move before that point? For the investment to be worthwhile it would have to increase the value of your property by as much as you’ve spent. 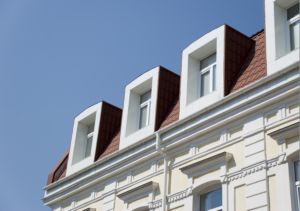 So does a microgeneration system increase the value of your property? It is definitely exciting to be the first true adopters of renewable energy technology in our homes, but this does mean that we don’t know as much as we’d like to about the effects of renewable technologies on property values. Simply put, not enough time has passed for enough homes with renewable technology to have been sold, meaning that the trends we do see aren’t very certain. This also means we can’t be sure of the demand for houses with renewable technology already fitted. However, this can only get better with time and studies have been carried out using the examples we do have. Solar PV and solar thermal systems were the most common technologies to be featured in these studies. They found that of those studied 40% would prefer a house with a solar energy system but only 10% would pay more for the system. Those who would pay extra for a solar system were prepared to pay between £1,500 and £3,000. Only half of buyers were made aware that their new house had solar technology. Perhaps more interesting than these figures is what the participants of the studies revealed. Multiple studies interviewed both house buyers and estate agents to gather their impressions of renewable systems. Most estate agents said that they did not think that a renewable system would add value, with some going as far as to not mention the system at all to the prospective buyer. Indeed, half of those who bought properties with solar panels were told nothing about them at the time. Given that prospective buyers cite the estate agent’s advice as being a major influence on their purchasing decision, this may have led to what academics are calling a ‘vicious circle’ of green property values. 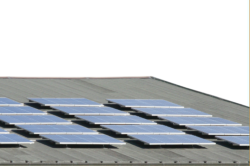 The estate agent does not think the renewable system is a good selling point and so does not promote it to the buyer, meaning that the buyer has little chance or incentive to pay more for the system, causing the house sale to be another example of renewable technology not improving the value of a house. It is a well known fact that estate agents are incentivised through commission to sell a house without necessarily getting the best price for it. Achieving a £3,000 higher sale through factoring in and promoting a renewable technology may make very little difference to an agent’s commission, making the risk of losing the sale simply not worth it. But is the technology valued at £3,000 by the agent and the customer because of the agent’s lack of knowledge? The recently launched Green Deal emphasises the need to train all the professionals involved in the supply chain of the scheme, particularly the tradespeople who form a key point of contact situated in an ideal ‘advice’ setting. Exactly the same can be said of estate agents – hopefully the extensive training on offer will permeate to this sector to further support uptake of the brilliant money saving technologies on offer. In our next blog we’ll be talking to estate agents across London to get a better idea of what’s really going on in the market. This entry was posted in Grants, Offers & Funding and tagged Feed-In Tariff, Green Deal, Property values, Renewable technology. Bookmark the permalink.